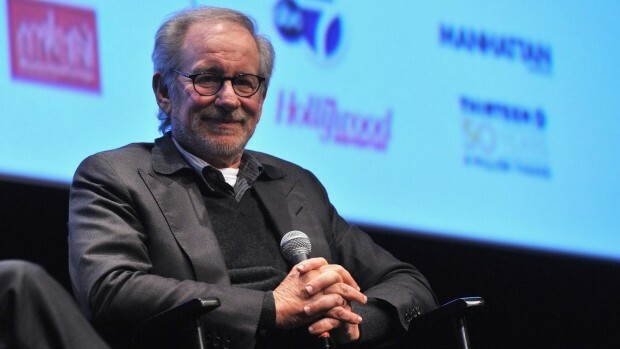 It looks like we’ll have to forget our dreams of seeing his teased Obama biopic come to fruition, as Steven Spielberg has decided on his next film — and it’s not the long-rumored, delayed Robopocalypse. He’ll instead be taking on a previous David O. Russell project, according to The Hollywood Reporter. Coming off Lincoln, Spielberg will work with DreamWorks and Warner Bros. on an adaptation of American Sniper starring Bradley Cooper. First attached to the project around a year ago, the actor will be playing Navy SEAL Chris Kyle in the film based on his autobiography, and this is perhaps another reason Cooper jumped the ship of Jane Got a Gun. Scripted by Jason Dean Hall (Spread), the best-selling novel told of Kyle’s experience in the military and how, during this time, he came to set the record for most sniper kills by any American, the number being anywhere from 160 to 255. Described as “a first-person account of a warrior who shoots from far and close distances,” it will also focus Kyle’s wife, who expresses direct concern over a growing fidelity to the army and decreased devotion to their family. This one sounds like exciting material for Spielberg as he’ll still be jumping into action, but something in the genre containing a worthy dramatic backbone. Production is aiming to kick off in early 2014. Are you looking forward to Spielberg and Cooper teaming up?